Going “circular” refers to the necessary change from our current take-make-waste linear economy to a borrow-use-return circular economy. The film is directed by a two-time Telly® Award and Emmy® Award winning filmmaker Graham Sheldon and presented by global sustainability expert, Prof. Dr Wayne Visser. In support of the UN Sustainable Development Goals, the documentary explores five key strategies for achieving circularity – reduce, reuse, recycle, renew and reinvent – by showcasing examples from Europe, Latin America and Africa and featuring insights from experts from the likes of the World Economic Forum and the Universities of Cambridge and Harvard. Join us for this thought-provoking and powerful documentary. Be aware and together, we can make a difference. This event is held in conjunction with Earth Day 2019. Screening by Rhine-Waal University of Applied Sciences (HSRW) In Kleve, Germany. 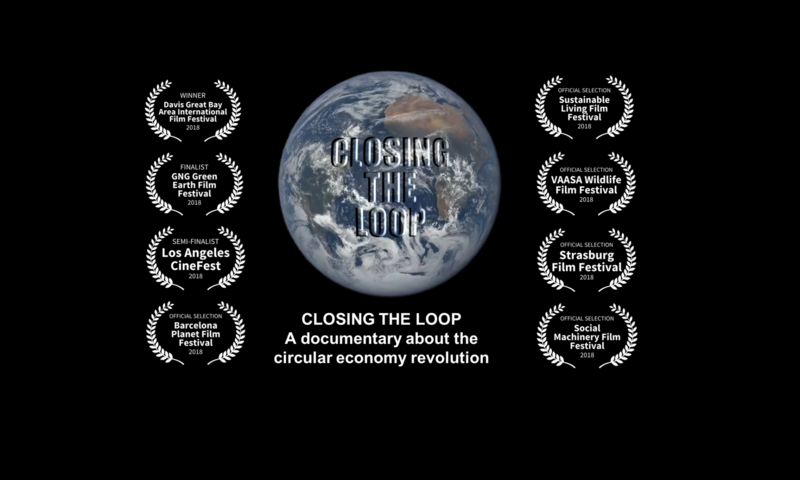 Closing the Loop is the world’s first feature-length documentary film on the circular economy. On April the 2nd, we will screen the movie at the Audimax (Rhine-Waal University in Kleve, Germay). The film will be screened in English with German subtitles. These are the opening words of Closing the Loop, the world’s first feature-length documentary film on the circular economy. Going “circular” refers to the necessary change from our current take-make-waste linear economy to a borrow-use-return circular economy (sometimes also referred to as the zero-waste or cradle-to-cradle economy). Our guest speaker brings the content locally to Milton, Ontario in Canada. Liz Benneian is a former journalist and newspaper editor who has been leading environmental advocacy and educational organizations since 2004. Currently, Liz is Executive Director and Manager of Environmental Education for Ontario green, a charity that provides free, curriculum-based environmental science presentations in schools. Liz is also the founder of the Ontario Zero Waste Coalition, that consists of 25 citizen-led groups from around the Province, that advocates for Zero Waste policies and legislao0tion and against incineration. By donation to Halton Green Screens, suggested $5.